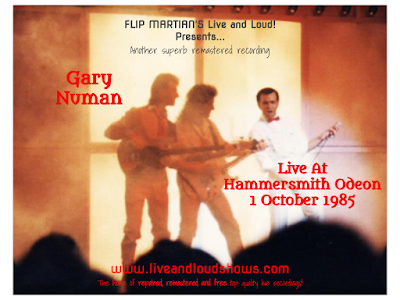 This one is taken from 1 of my old cassettes - bought in Camden Market quite possibly not long after the tour. Its a fairly decent audience recording - no hollering or chatting from anyone nearby so you can just concentrate on the music! After transferring it, I applied some gentle noise reduction and then 30 band EQ to remove some mid range mud and enhance the bass frequencies a bit (you can hear the kick drum now). I also processed and widened the sound a bit and its now a very listenable show - good quality recordings of this tour are not easy to find so I hope you enjoy this one! You can download it for free here as 1 MP3 file. On the other hand, if you would like to have separate tagged MP3s, or even lossless files in FLAC format, head on over to the Donations tab to see how you can obtain these for a very small donation towards the site costs. 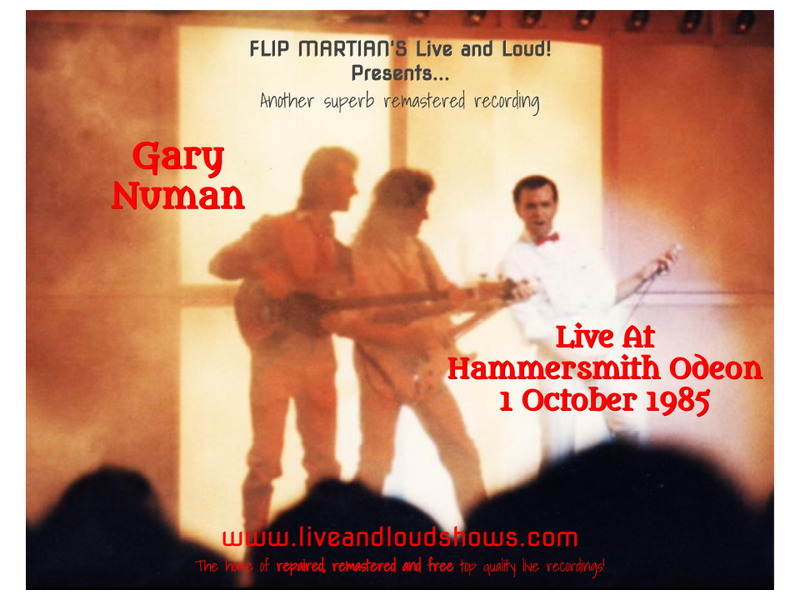 Numa-era Numan is easy to dismiss (GN himself appears embarrassed by much of it), but there is still much to recommend this show. Suffer through the saxes and female vocals and we get some storming encores, including a ripping version of "My Shadow in Vain." Sound quality is better than you'd expect for an audience recording--you've done a nice job on the remastering--thanks! Cheers, glad you enjoyed it. That's one of my own photos on the cover. Is it? I just googled for Fury tour photos. Happy to put a credit on it if you want. Or remove if you don't want it using.